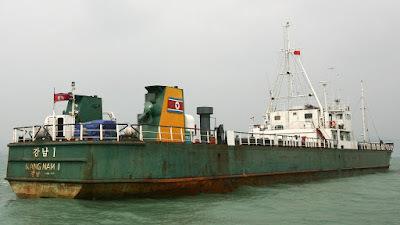 The Guardian News north korea sanctions Will North Korean-Bound Ships Be Intercepted By U.S. And Allied Naval Forces? Will North Korean-Bound Ships Be Intercepted By U.S. And Allied Naval Forces? In December, North Korea warned that a naval blockade would be considered an “act of war.” This week, foreign ministers from the US and about 20 other countries will discuss the possibility of intercepting vessels headed to North Korea, as part of expanding efforts to pressure Pyongyang into abandoning its nuclear weapons and ballistic missile programs. The meeting will take place in Vancouver on Jan. 16, with Canada and the US serving as co-hosts. Attendees will primarily be the nations that sent troops to the Korean war of 1950-53, among them South Korea, Japan, Australia, India, Britain, and France. Neither China nor Russia will attend, though they will be given a readout of the discussion. WNU Editor:North Korea has already warned that such actions would be regarded as a declaration of war.